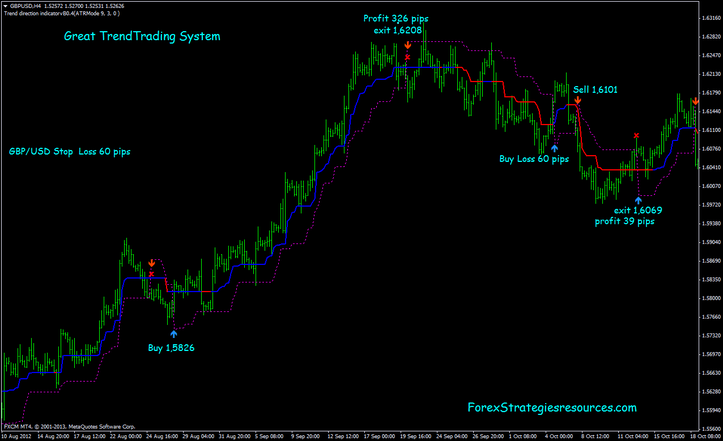 This is a simple trend following Forex Strategy. Based on two metatrader indicators. The goal of this strategy is to win on the long trend. 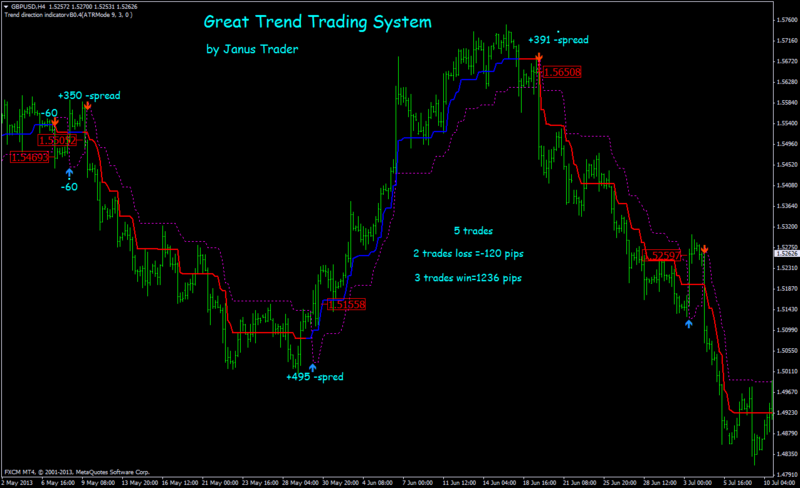 In the pictures below Great Trend Trading System in action.